Sign me up for Bluebook product updates! 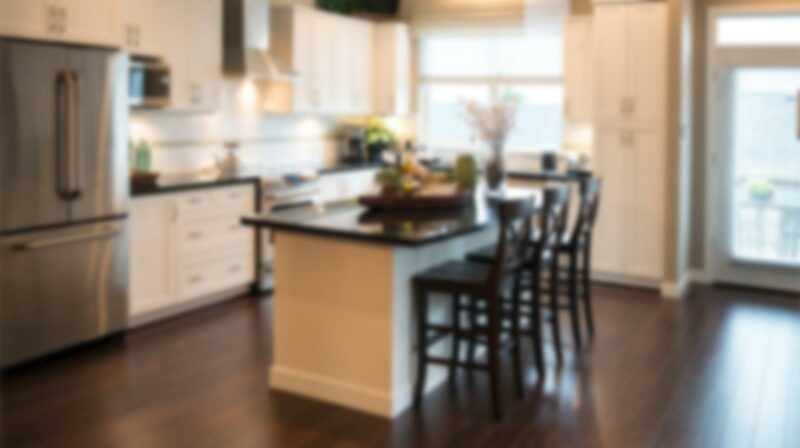 You don't have to be a big contracting company to be professional. Estimate your projects accurately, with a professional look, and win more bids using the Bluebook PRO Estimator. The Bluebook PRO Estimator has leveled the playing field, enabling contracting companies of all sizes to create accurate and professional looking estimates. Whether you have 1 or 100 employees, quickly search from thousands of line items leveraging our 50+ years of labor, material and equipment costs all priced to the ZIP code. There is nothing to download, it works in your computer's, tablet's or phone's browser. 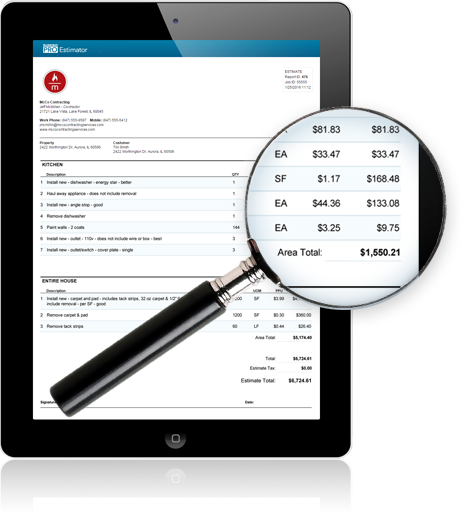 This video walks you through how easy it is to create an estimate. 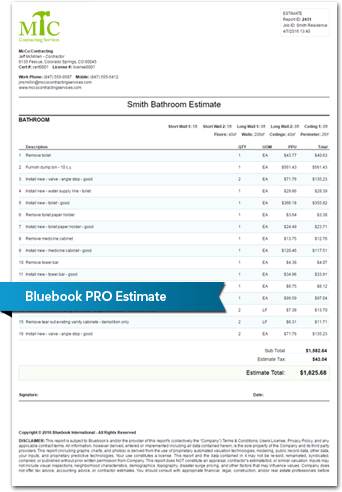 Once you try your free estimate, you'll see for yourself how the Bluebook PRO Estimator can be a powerful assset to your business. With thousands of line items to search through, we made sure that finding what you need is easy. 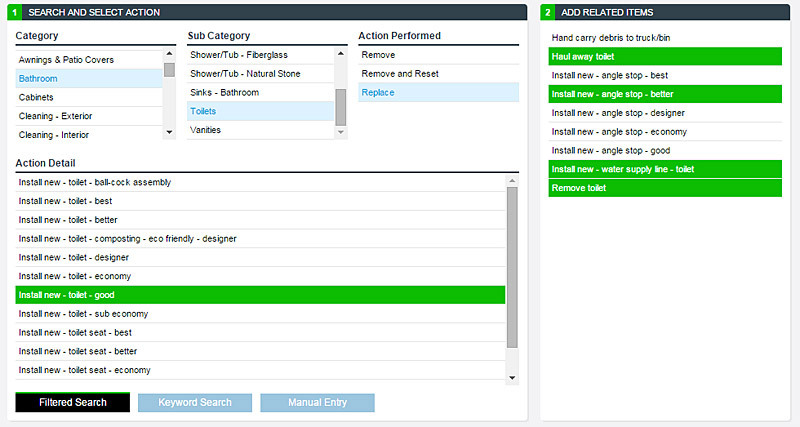 Filter through Trades, Sub Trades and Actions to narrow your search or simply type in your keywords. Either way gets you to your line item quickly. 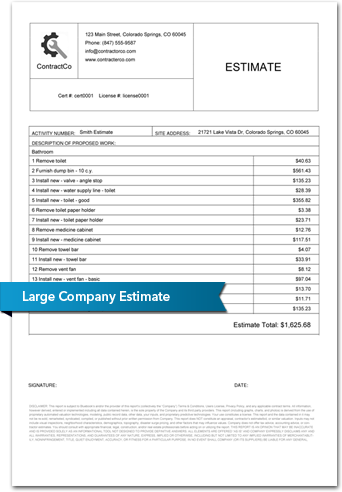 When you find a line item to add to your estimate, we suggest related actions commonly used to complete that task. This cuts down on search time and also makes sure you estimate the entire cost. Sign up today and get access to a free sample project to see and try everything the Bluebook PRO Estimator has to offer. If you like what you see we will give you an additional 7 day trial to use the Bluebook PRO Estimator at no cost and without needing a credit card.